Banks commonly offer legal services, including Will writing. It has emerged that, in the past, clients were encouraged to appoint their bank as their Executor in their Will. In so doing, the client agreed that the bank could bill a fixed sum when they acted in the administration of the client’s estate. The sum is calculated as a percentage of the value of the estate. Bearing in mind the increase in house prices in the last few decades, people are now leaving estates worth more than they had envisaged when their Will was drawn up. This, of course, benefits the bank acting as Executor and charging the estate for their professional services. This story was reported in the Daily Mail in June 2018. You can read the article here. Contact Buckingham Wills & Probate if you are concerned about your Will. We can carry out a free review of your Will. 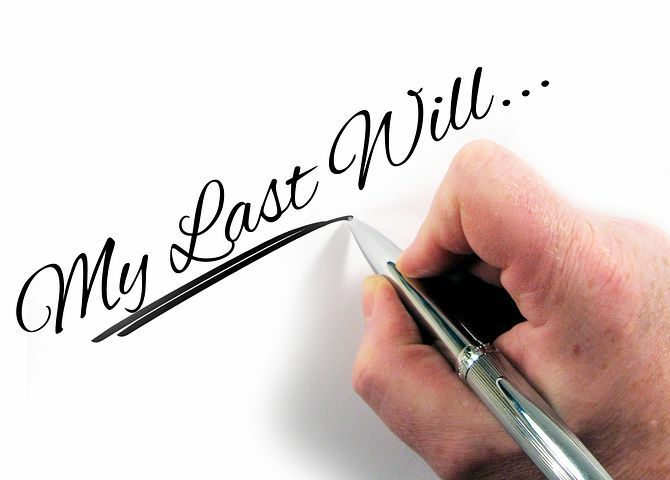 Your Will appoints an Executor who will carry out the administration of your estate. This means they must collect in the assets, pay off the liabilities, apply for the Grant of Probate, submit the HMRC paperwork, and pay out your assets in line with your Will. Anyone can be an Executor – it does not have to be a professional. Your Executor is free to pay for professional assistance in any or all areas of the administration of your estate. We offer estate administration services to Executors. You can find out more about them on our Probate webpage. Why does it matter if a bank or other professional body has been appointed as my Executor? If a professional has been appointed, they will charge for their services. This is right and proper, but it has been discovered that some banks have agreed to calculate their fixed fee in relation to the value of the estate, rather than the complexity of the work required. Some will charge as much as 2.5% or the total value of the estate. On a £500,000.00 estate, the bank may charge up to £12,500.00 even if the process is completely straightforward. Our fees are based on the complexity of the work involved. In the same example of a straightforward £500,000.00 estate, our fees for administering the estate are likely to be around £3,000.00. This is a great deal less, and means the money in the estate is left to the beneficiaries rather than being taken by the professional Executor. In fact, if we carry out piecemeal work for the Executor, such as completion of the legal paperwork, our fees are lower. Some Executors are able to undertake much of the administration without requiring professional help. You can find out more about what’s involved in administering an estate, and where professionals like us are frequently instructed to assist, in our Guide to Administration of an Estate. If you have a professional Executor named in your Will, or you are concerned about any aspect of your Will, book a free Will review with us. Make your appointment online or by telephone. Bring your Will and we will go through it with you for free. You may choose to make a new Will, naming different Executors, and you can arrange to do that with us.